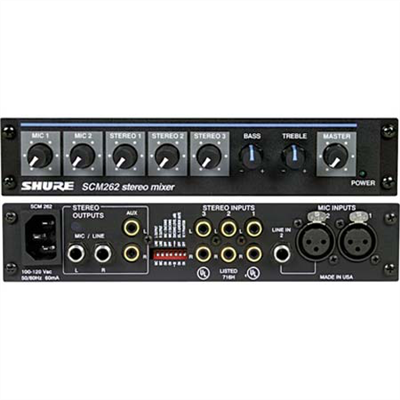 The SCM262 is a stereo mixer intended for sound reinforcement applications that integrate microphones with consumer stereo products. 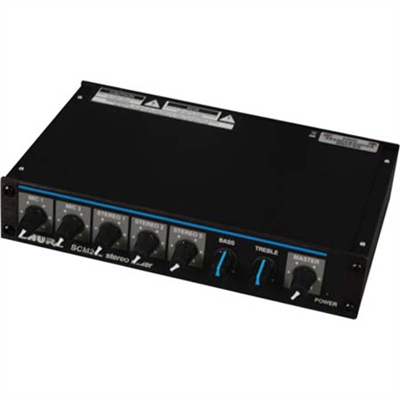 It incorporates two active-balanced microphone inputs with three unbalanced stereo aux level inputs. The SCM262 is designed for restaurants, classrooms, corporate training, aerobics classes, and other situations where a paging/public announcement system is combined with background music or other program material.